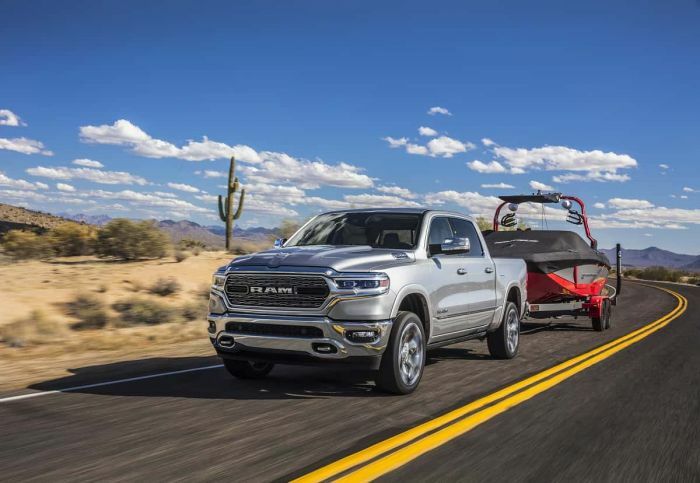 Ford's F-Series leads in individual sales, the GM truck portfolio leads in overall truck sales, but very quietly, Ram trucks have been leading the truck industry in three key ways. Here are a few things that from our point of view, Ram has led in and continues to lead in. During the release of the new 2019 Chevy Silverado, Chevy boasted that its new truck will have a diesel engine that is more capable than the Ram 1500's. Ford recently posted an update that its not yet released F-150 diesel will have class-leading fuel economy. It's great that both of Ram's competitors are catching on. Ram already offers a diesel 1500 and is about to drop its second generation diesel in the coming year. Ram is ahead by a generation with regard to diesel offerings in this segment. And pay close attention to Ford's press release. In it, Ford does not disclose what the 4X4 diesel's fuel economy will be. Reports are that Ford's retail trims of the F-150diesel it is going to be rated at 22 MPG, the same combined fuel economy Ram's current truck (that you can actually go out today and buy) is presently rated at. Read any review by any organization and you will find that FCA makes some of the best infotainment systems in the world at any price point. Ram's simple, yet feature-packed infotainment was already one of the best systems in trucks, but now it is also the largest. Ram's big 12" screen is about to change the landscape in its segment. Don't take our word for it, see what GM-Trucks.com had to say about the system. Every automaker with a truck in the lineup claims that theirs is the most off-road capable. It is a ridiculous statement. Off-road can mean thick woods, desert, frozen lakes, rocky terrain, or the logging road to a worksite. Each automaker has a wide array of specialty kit to make the claim. Ram's is that it can disconnect the front stabilizer bar for more suspension articulation. NESN and BestRide called the Power Wagon the "Most off-road pickup you can buy." Ram's exclusive technology is hard to argue against. Watch the video to see why.